When payment is defaulted by a business client that owes your business money, and continued communication is ignored by that client, the services of a commercial debt collection agency may be required. There are many benefits in seeking the services of a commercial collection agency, such as offering legal protection, helping your business to maintain integrity, and avoiding wastage of any further time and financial resources trying to recover the debt (https://www.federalreserve.gov/boarddocs/supmanual/cch/200601/fairdebt.pdf). The process of debt collection by commercial debt collection agencies differs from agency to agency. However, when it comes to an individual consumer, federal laws protect them from abuse, harassment and oppression by any third party agency. The Fair Debt Collection Practices Act (FDCPA) was enacted in 1977 to fundamentally establish a legal protection method for consumers. However, there are no federal laws that specifically govern the collection of B2B commercial debt by a third party. The agencies might only be required to be licensed from state to state. Upon receiving the debt collection assignment, many commercial debt collection agencies start the collection process by sending out a letter to the debtor by fax, mail or email. The demand letter will show the address and name of the debtor, full details and information regarding the creditor as well as the details of the commercial debt collection agency and the agent involved. Usually, this first letter is fairly polite in order to remind the debtor that their business needs to pay this past due debt. In some cases, this first letter may be enough to persuade the debtor to pay as a result of psychological fear. This is because the debtor is highly likely to be concerned about receiving a bad credit rating, possibly losing their own clients, or even being unable to receive credit to buy good and services from other businesses. In the event this first collection letter fails to elicit any reaction from the debtor, other successive methods are followed. A quality debt collection agency will be careful to make sure that the business relationship between the two businesses (their client and the debtor) is not damaged during the process of recovering the debt. It is extremely important that the collection agent regularly informs their client of the progress being made with the debtor. We may classify this as a pre-legal stage. If the debtor does not respond to the first collection letter, or letters, verbal demands regarding the debt by the agency have to be made, usually through telephone calls. Because of data and information protection, it should be done in such a way that in most cases, no information should is granted to anyone receiving the call other than the debtor. During this time, it is the responsibility of the agent to establish the best times to call the debtor, when it is appropriate to send emails, and when to schedule future collection calls. If the debtor receives the call, the agent may try to set rules for negotiation strategies for how to get the debtor to pay the debt. If they mutually agree, the debtor may go ahead and pay the debt, or begin making a mutually agreed upon series of payments. A good commercial debt collection agent will try to establish why the debtor is not paying their debt. Is it because their business is having financial problems? Is it because the business was not satisfied with the good or services they received so they have decided not to pay? This may help the agent in formulating proper strategies that would enable the debtor to pay their debt voluntarily. Because each case is different, it is critical for the agent to fully understand the fundamental and underlying reasons why the debtor is not paying. This kind of an understanding alone may motivate the debtor to initiate payment. In the event the debtor is still not showing any willingness to pay, the agent may increase the pressure, consistently and persistently without giving up. When the debtor continues to ignore the requests of the collection agency, the collection agency may be forced to move to the next stage by threatening to send the case to an attorney. At the same time, the agent has to keep informing their client of the progress made with the debt recovery process. This, again, may be classified as a pre-legal stage (http://leginfo.legislature.ca.gov/faces/billNavClient.xhtml?bill_id=201320140AB1291). After the debtor fails to honor any commitment to pay the debt, the next step, which is a legal stage, is followed. The file may be forwarded to the legal department by the agent for further action. The agency has the ability to file a suit on behalf of their client and subsequently represent the client throughout the case. However, there are instances when the debtor may fail to respond to the suit, in which case, the B2B debt collection agent is forced to obtain a default judgment against the debtor. However, debtors may also deny the charges. In this case, either substantial or circumstantial evidence has to be presented. Evidence may include such documents as signed contracts, checks which have been canceled, purchase orders, account statements and invoices. If successful, the collection agency, on the behalf of the client, obtains a judgment against the debtor in the courts. 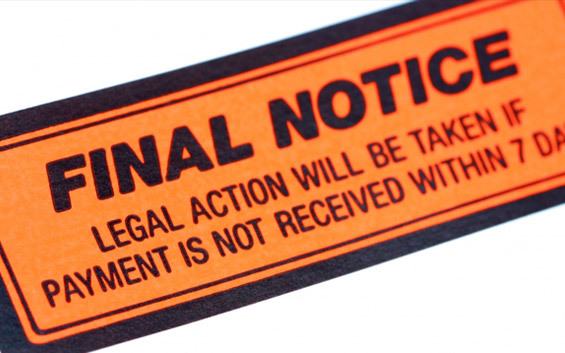 However, just because a judgment has been made against the debtor doesn’t always mean that the debtor will pay their debt (http://www.business.com/legal/the-business-to-business-debt-collection-process/). After the court has ruled in favor of the agent, the agent moves in to formulate and implement other measures of recovering the debt. These may include securing liens on the property of the debtor and even writing to credit institutions for black listing. Depending on how quickly the collection agency moves after securing the court judgment, debt recovery is now fully legal and the process may end up with some of the property of the debtor being sold to recover the debt, or the debtor finally agreeing to pay. In conclusion, securing the services of a commercial debt collection agent may prove to be the only way to recover a debt, especially when a business is ignoring all requests to pay the debt they owe. Hiring a commercial collection agency will save time and resources as commercial collection agents have experience and advanced training in how to successfully collect B2B debts.